Call 386-248-0007 Now To Save 10% on Bed Liners & Truck Beds! Welcome to Tow Hitch City, your one stop store for truck accessories, including bed liners and bed covers in Daytona Beach. With over 30 years of experience in selling truck accessories in Daytona Beach, you can rely on us for your requirements of high quality trailer hitches as well as bed covers, and bed liners for your truck. We also specialize in auto vent shades and vent visors. We are one of the leading suppliers of Aries products such as grill guards, step bars, and bull bars in the Daytona Beach area. Bed liners apart, we also offer Big Country products like grill guards, side bars, and oval bars. Visit our Daytona Beach showroom for aluminum and steel toolboxes as well as transfer tanks for your truck. A pickup truck is quite costly and you go out of your way to protect its bed with high quality bed liners. If you do not install bed liners on your truck, you can rest assured that its bed is likely to get scratched. Our fair and honest pricing on bed liners and other accessories is the main reason why truck owners in Daytona Beach always depend on us for their requirement. 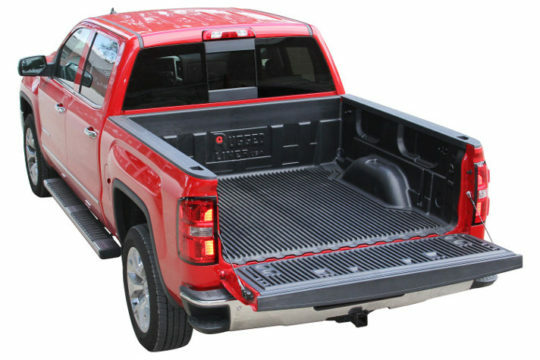 Our truck bed liners protects the bed of your truck and increases its resale value. If you want something special, check our exclusive range of Weathertech truck liners. Visit our Daytona Beach showroom today to check the awesome range of truck liners like trifolds, bedliners, and truck bed mat snap on covers.